Bioactivation of Estrogens to Toxic Quinones (J.L. Bolton). Diverse Mechanisms of Endogenous Nucleobase Deamination in DNA and RNA (P.C. Dedon). Site-Specific Modification of the Electrophile Sensor Protein Keap1 and Activation of NRF2-Dependent Gene Expression (D.C. Liebler). Genotixicity of Chlorophenols and Ochratoxin A (R.A. Manderville). Idiosyncratic Drug Reactions: Clinical Evidence for Mechanistic Hypotheses (J.P. Uetrecht). 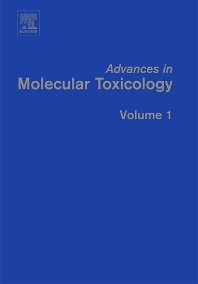 Advances in Molecular Toxicology features the latest advances in all of the subspecialties of the broad area of molecular toxicology. Toxicology is the study of poisons and this series details the study of the molecular basis by which a vast array of agents encountered in the human environment and produced by the human body itself manifest themselves as toxins. Not strictly limited to documenting these examples the series is also concerned with the complex web of chemical and biological events that give rise to toxin-induced symptoms and disease. The new technologies that are being harnessed to analyze and understand these events will also be reviewed by leading workers in the field. Advances in Molecular Toxicology will report progress in all aspects of these rapidly evolving molecular aspects of toxicology with a view toward detailed elucidation of both progress on the molecular level and on advances in technological approaches employed. Cutting edge reviews by leading workers in the discipline. In depth dissection of molecular aspects of interest to a broad range of scientists, physisicans and any student in the allied disciplines. Leading edge applications of technological innovations in the chemistry, biochemistry and molecular medicine. Dr. James Fishbein works at the Department of Chemistry and Biochemistry, University of Maryland.